For centuries, people around the globe have gathered in symphony halls to be awed and inspired by the transcendent power of music, but now some of the leading figures behind these grand performances are conceding that what they do isn’t as impressive as it seems: The world’s orchestra conductors have admitted that their job is just as easy and fun as it looks. Wow. Kudos to them for owning up! Earlier today, a coalition of conductors representing hundreds of the most revered symphonies in the world released a joint statement revealing that their job is pretty much a cakewalk and it requires virtually no skill at all. 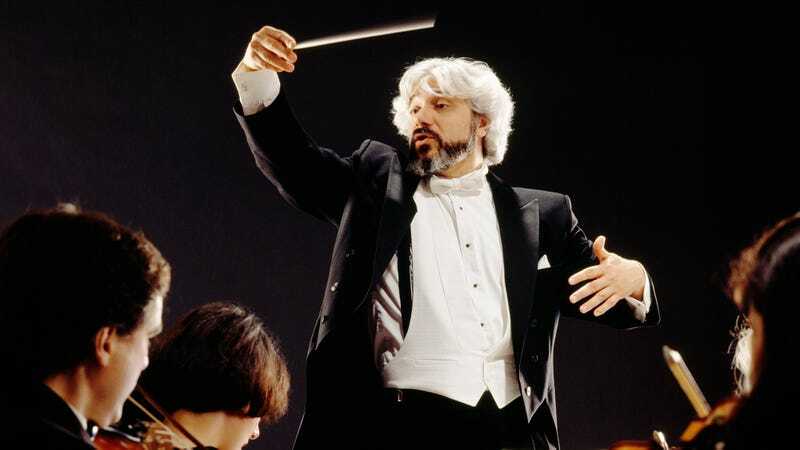 Saying that they’re basically just waving around a stick in an arbitrary manner and having an all-around good time, the conductors confessed that they honestly serve no practical purpose and that their presence has no impact on the music whatsoever. The statement went on to say that being a conductor is a total dream gig, as you’re pretty much just getting paid six figures to close your eyes a bunch and groove around to nice music. Noting that it’s basically the only job where you’re actively encouraged to let your white hair grow out wild and more or less look like an insane person, the conductors admitted they have no idea why they’re so celebrated, but they’re definitely not complaining. Much respect to these conductors for coming clean about the incredible ease of what they do. While it makes total sense when you think about it, and it’s honestly surprising no one realized all this sooner, it’s nonetheless admirable that these conductors are being so transparent and honest. Bravo!